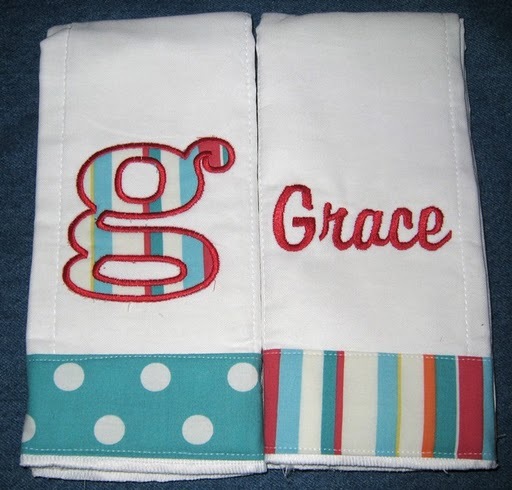 Each burp cloth comes complete with embroidery and/or monogramming. Burp Cloth measures: 13.5 x 20"
The image you see above is an EXAMPLE of what we can do for you. NOTE: You are purchasing ONE burp cloth.